You are here: Home / Does Your Child Have Difficulties Comprehending What Others Are Saying? Does Your Child Have Difficulties Comprehending What Others Are Saying? Imagine how difficult it would be if you didn’t understand what anyone else was saying. It would be like everyone around you was speaking another language. If your child is having difficulty understanding what’s being said to them even though they don’t have any hearing problems, he or she may need Spoken Language Comprehension Therapy. They may be having trouble processing long sentences (when it’s too much information for them to handle), or understanding the meaning of certain words and concepts. 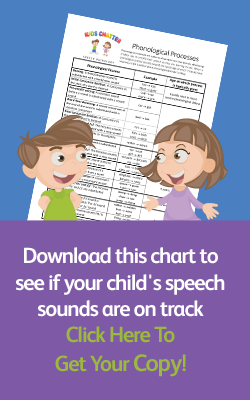 If you often have to repeat or reword instructions to your child so they understand, you should bring them to Kids Chatter for an assessment. While it can be the result of a known diagnosis or disability, or even a hearing problem (particularly if your child has had ear infections or “glue ear”), sometimes there’s no underlying cause. Without therapy to correct it, your child may stop listening to you. It’s not a behavioural thing. They simply can’t understand what you’re saying. And it can become a big problem when they’re at school. Teachers tend to give lots of instructions, so they can get a lot of things happening. If your child can’t understand what’s being said and does the wrong thing, they are often seen as “the naughty kid” who is misbehaving when in fact they simply have difficulties understanding what’s being asked of them. You might think they’ll grow out of it, but while they may pick up on things over time, they’ll always be behind the eight ball. At Kids Chatter, we’ll usually refer you to see an audiologist to check your child’s hearing. If their actual ability to hear is okay, then we can look at how your child understands instructions. We’ll give them instructions using short sentences to see if processing the information in longer sentences is the problem. If that’s the case, we will teach you and your child specific strategies on how they can follow instructions of increasing length and be able to retain the information. The result? Your child will be able to understand what’s being said to them and act on the instructions given to them. They’ll be able to make the most of their education and go on to lead a happy and successful life. If you feel that your child is struggling with understanding others, please call us today to discuss what’s happening for your child on 0432 735 044.